A facial plastic surgeon is a highly-skilled provider that dedicates all of his/her energy to learning the intricate anatomy of the face, nose, neck, eyelids, and mouth. The health & natural beauty of the skin is a matter of everyday vigilance and maintenance, and there are steps you can take to make sure your skin stays smooth and attractive. Prospects for more youthful looking skin are excellent. 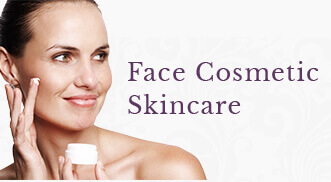 Aesthetic Skincare includes a wide variety of non-invasive skincare. Bell’s Palsy is a form of facial paralysis resulting from a dysfunction of the cranial nerve VII (the facial nerve), causing an inability to control facial muscles on the affected side. Bell’s Palsy is defined as an idiopathic unilateral facial nerve paralysis, usually self-limiting. The hallmark of this condition is a rapid onset of partial or complete paralysis that often occurs overnight. In rare cases, it can occur bilaterally resulting in total facial paralysis. Facial Paralysis is the inability or weakness to move and control the muscles of the face and neck. Facial tightness: the muscles particularly of the cheek can be in a constant state of partial activity, which creates tightness and chronic facial discomfort. A facelift is a surgery designed to improve the shape and youthfulness of a person’s face. As we age, our faces go from being heart-shaped to being more rectangular. This is because we lose fat and bone from the upper part of our face, and because our skin becomes less resilient. A “midface” lift is a procedure designed to recreate the youthful “apple” of the cheek. A browlift is a surgery designed to improve the appearance of the forehead and eyebrows. As we get older, the outside half of our eyebrows can begin to fall, creating a feeling of heaviness and an aged, tired appearance. We also lose fat from our temples and the area beneath our eyebrows, making them look more flat. The endoscopic browlift technique is completed using small surgical telescopes passed through tiny incisions in the hairline. The goal is to lift the outside half of the eyebrow to create a youthful, rested looking eyebrow and upper lid region. A trichophytic browlift technique is where an incision is made along the hairline which does not elevate the forehead and the hair line can be lowered if desired. Rhinoplasty (nose job) is one of the most common facial cosmetic surgical procedures. It can help correct a variety of features that individuals would like to alter, such as balancing crooked or oversized noses or nostrils, as well as removing bumps on the nose. Functional Rhinoplasty is used to correct external and internal nasal deformity that contributes to nasal obstruction or congestion and respiratory difficulty. Blepharoplasty is a surgery designed to improve the appearance and youthfulness of the eyelid. Upper blepharoplasty surgery typically focuses on removing upper eyelid skin to create a more youthful, refreshed appearance. Lower blepharoplasty is a surgery focused on improving the appearance and youthfulness of the lower eyelid. 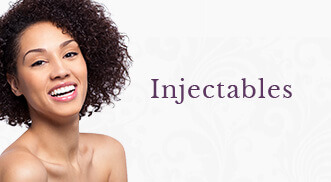 Lip Augmentation involves the treatment to generate more full natural appearing lips. Mohs Reconstruction is the reconstruction of an area where skin cancer was (a hole). This hole is considered to be a Mohs defect. Reconstruction may be undertaken immediately or delayed for one to several weeks depending on the size and location. Local Flap Closure is another frequently utilized procedure for Mohs patients. The technique for closure uses skin adjacent to the defect. Regional flaps are used for Mohs reconstruction when larger defects are present and when multiple layers of tissue have been removed such as skin, cartilage and nasal lining. Moles are small pigmented lesions on the skin that may or may not have been present since birth. Moles come in all shapes and sizes, and can be brown, red, black or skin color. Otoplasty (ear reconstruction) is a surgery designed to adjust or correct the appearance of the external ears. The most common technique performed for ear reconstruction is “pinning.” In many patients, the pinna is outwardly extended in an exaggerated manner, creating a “Dumbo” or “Mickey Mouse” effect. During an otoplasty procedure, the ears can be modified so that they hug the side of the head more closely. Earlobe surgery is a simple procedure that can help to repair stretched or torn earlobes. A cleft lip/nose is an opening or gap from the lip to the nose. It is the non-fusion of the body’s natural structures that form before birth. Chin Augmentation using surgical implants can alter the underlying structure of the face, providing better balance to the facial features. The specific medical terms mentoplasty and genioplasty are used to refer to the reduction and addition of material to a patient’s chin. This can take the form of chin height reduction or chin rounding by osteotomy, or chin augmentation using implants. PhotoRejuvenation addresses brown and red spots on the skin. Unlike lasers, which use collimated, focused light, PhotoRejuvenation uses intense broadband light. This type of light is preferentially absorbed by both the brown and red pigment in and beneath the skin. Laser hair removal is the reduction of unwanted hair by means of exposure to pulses of laser light that destroy the hair follicle. SkinPen™ is a medical-grade, state-of-the-art precision tool that stimulates the skin’s natural production of new collagen and elastin, helping skin to look and feel healthier. SkinPen™ is helpful when addressing skin texture, acne scars and stretch marks. Collagen Induction Therapy (CIT, or also referred to as microneedling) is the procedure by which the body’s natural response to healing is used to increase the amount of extracellular matrix (such as collagen or elastin) in the skin. Dermabrasion is generally used to refer to a true surgical procedure that aggressively abrades away the top to mid layers of the skin. Update your look and experience mineral makeup designed to improve the health and appearance of your skin during a makeup application or lesson. Ultherapy® is a non-surgical procedure that can help erase deep wrinkles from your skin. The procedure involves the use of sound waves that gently heat and stimulate the tissue underneath your skin that has begun to lose its elasticity. Eyelash enhancement is treatment to lengthen, condition, extend, or tint eyelashes for a beautiful, natural look. Laser skin resurfacing, also know as a laser peel, laser vaporization and lasabrasion, can reduce facial wrinkles, scars and blemishes. BOTOX® Cosmetic is a simple, non-surgical injectable product that relaxes the muscles that cause wrinkles or asymmetries in the face.